John Slattery is headed from Madison Avenue to A.I. Deadline reports that the former Mad Men star has landed the lead role in the pilot for Fox’s AI drama neXT. neXT is a combination of pulse-pounding action with a layered examination of how technology is invading our lives and transforming us in ways we don’t yet understand, the series also presents us with a villain unlike one we’ve ever seen, one whose greatest weapon against us is ourselves — and knows how to use it. The pilot was on spec by Manny Coto (Dexter, American Horror Story) and directed by John Requa and Glenn Ficarra. It’s being described as a propulsive, fact-based thriller grounded in the latest research on artificial intelligence. Slattery will play Paul Leblanc, a brilliant but paranoid CEO who joins a Homeland Cybersecurity Agent (Fernanda Andrade) and her team to stop the emergence of a rogue A.I. with the unstoppable ability to improve itself. Eve Harlowe, Aaron Moten, Gerardo Celasco and Michael Mosley co-star along with Slattery and Andrade. Coto will also executive produce alongside directors Requa and Ficarra and Charlie Gogolak of Zaftig Films for 20th TV. This is also Slattery’s return to a starring role in a television series after several years. 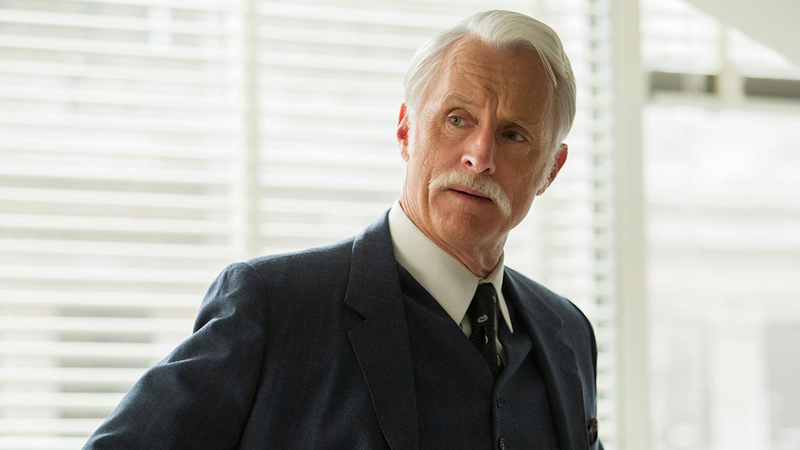 Since Mad Men ended in 2015, the actor has had guest roles on Veep and The Romanoffs. He also occasionally pops up in the MCU as Howard Stark, the late father to Robert Downey Jr.’s Tony Stark (better known as Iron Man).